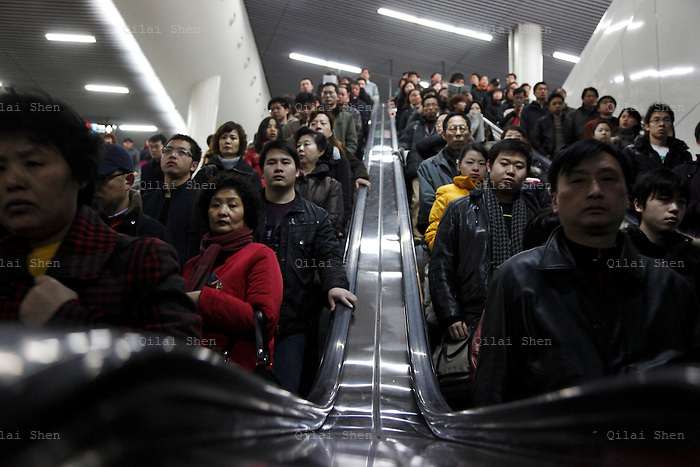 Morning commuters crowd onto escalators in the People's Square subway station in Shanghai, China on 25 February 2009. Shanghai's subway system, with a total annual passenger flow of over 700 million, is the world's 10th largest transportation network in traffic. The city is also quickly expanding it's subway system, to accommodate a swelling population of over 23 million residents according to the latest census in 2010.